Here are some things that I might want to use in the future. 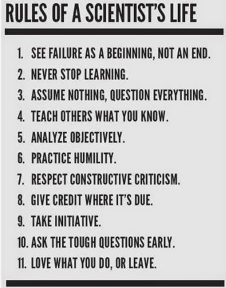 And these 11 items - Rules of a Scientist's Life. I am not sure about the original source, just like this blogger. The earliest reference I find is a pinterest page from December 2011.